Current situation is a reflection of a reality marked by the lack of support to people in conflict situations; a reality that ignores extreme poverty, inequality and even migratory flows. So far, the most common response has been based almost exclusively on controlling and repelling migratory flows. Such measures have no other effect than worsening vulnerability, deprivation and suffering. In the absence of safe and legal routes to Europe, people arriving to our borders and territories are forced to seek alternative routes, increasingly long and dangerous, putting their lives in the hands of criminal organizations. Spain remains one of most restrictive countries in terms of asylum policies. As a result, many people who have the right to protection become “illegal/undocumented immigrants” and are forced to live on the streets or stay in detention centres. Both in our work networking with others and as a network ourselves, we are committed to reporting cases of exclusion, as well as to using our advocacy work to promote fairer migration policies. Together with Church organizations and other social movements, we advocate with public authorities to promote reception and integration policies focused on changing stereotypes. We call for urgent action to ensure compliance with both international conventions and European directives and regulations governing asylum and refugees; we also call for the opening of safe and legal routes for immigration, as well as for the implementation of adequate reception systems and the adoption of consistent measures to address inequality, reduce poverty and prevent armed conflicts in countries of origin. Most of our advocacy work is coordinated with other national and international networks. In Europe, we work closely with the Jesuit Refugee Service Europe and we are part of Red Xavier (Xavier Network). 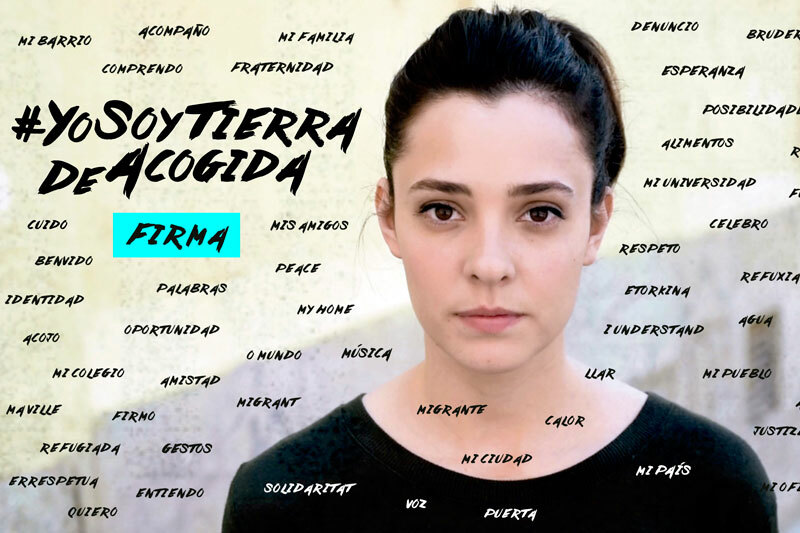 In Spain, we are active members of several networks and groups, such as Red Intraeclesial de Migraciones (Intra-ecclesial Network for migrations), Red Solidaria de Acogida Bienvenidxs Refugiadxs (solidarity network “Refugees Welcome”) and Coordinadora de ONG de Desarrollo (CONGDE, the Spanish Development NGO Platform); we are also involved in several networking initiatives in different territories. Moreover, we work closely with the University Institute of Studies on Migration (Comillas Pontifical University, Madrid) and with Inmigrapenal (Migration and legal system group). Hospitalidad.es (Hospitality) will devote some of its efforts to develop further analysis and research. We will also try to propose changes aimed at truly transforming local, national and international policies so that they are fairer to migrants and refugees; and we will make efforts to build a culture of peace.